What's the largest RX (C50) sprocket you sell? I have the SA RXL RD% hub and would like to fit a larger sprocket. Currently it is fitted with a 20 tooth. Will This Fit The Sturmey Archer S-Rf5 5Spd Hub? I have a Sturmey Archer S-RF5 5Spd Hub. It currently has a 16T sprocket and I am looking to replace with a 20T. Will this fit? Also is there a limit to the max size available? 22T? And does this hub use flat or dished - or can it vary? 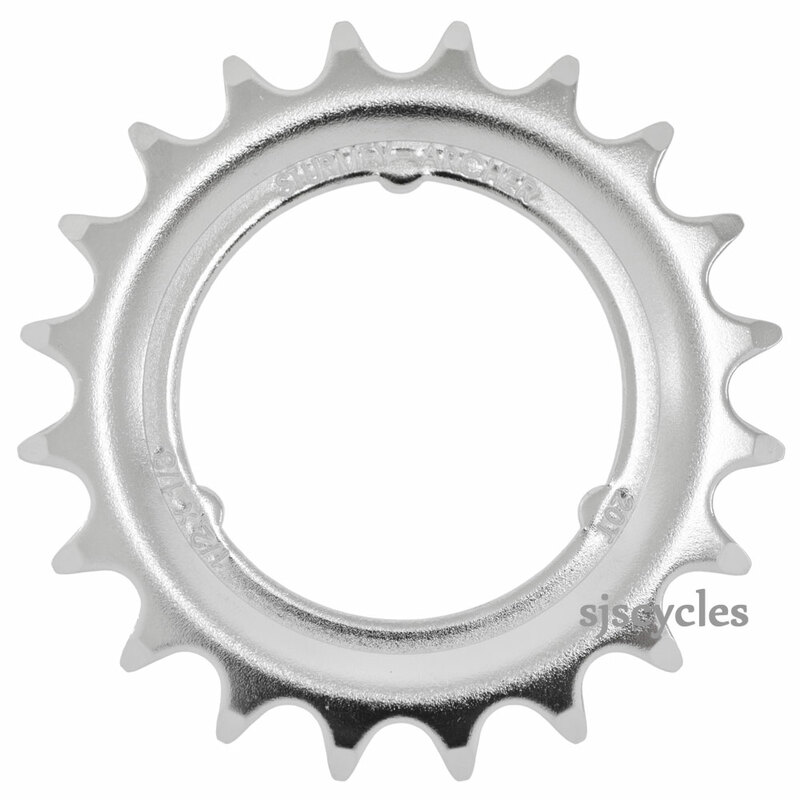 This sprocket would not be suitable for your hub I'm afraid, the new RX hubs use a different size of fitting. For the standard fitting for your S-RF5 hub we have sprockets in 20T, 22T and one in 24T. You can fit either flat or dished sprockets to your hub, they will just alter the chain line slightly.